Week 1, just the beginning. I’d like to start by saying thank you to everyone. Since leaving my job at the end of February I’ve had a whirlwind of leaving do’s, family reunions and emotional goodbyes and it sincerely means everything to me to have your well wishes. 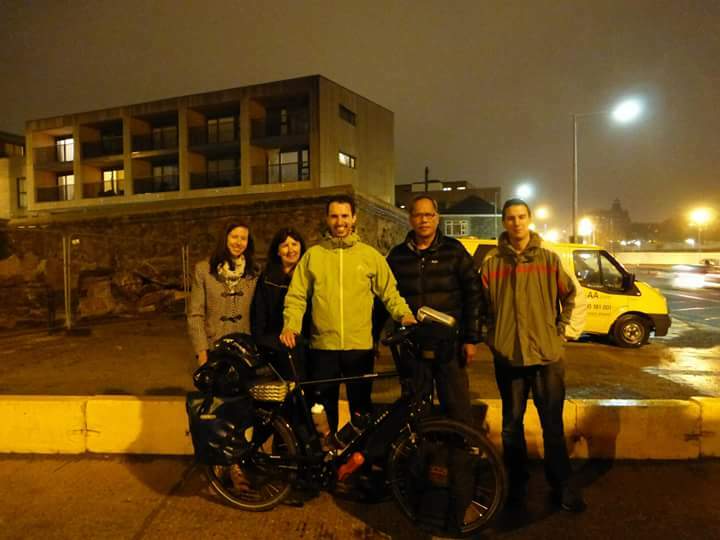 As you can imagine when it came to leaving it wasn’t so easy, I waved goodbye to my family at Plymouth ferry port and cycled away. 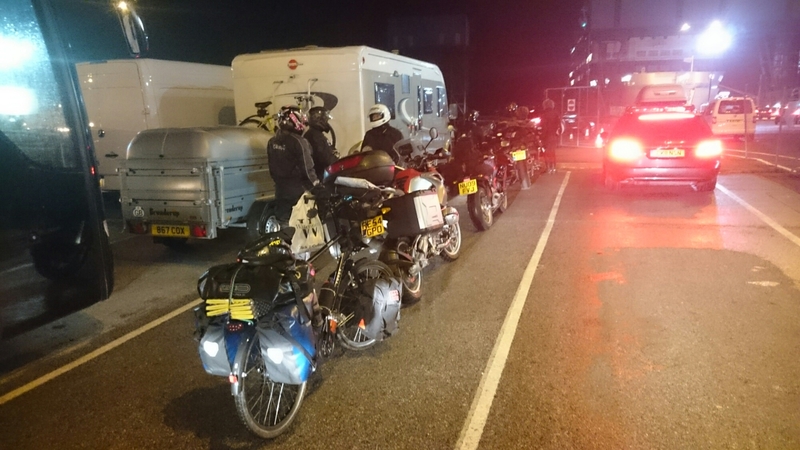 I had an overnight trip to France and a nice cabin to rest up on the choppy waters that lay ahead. 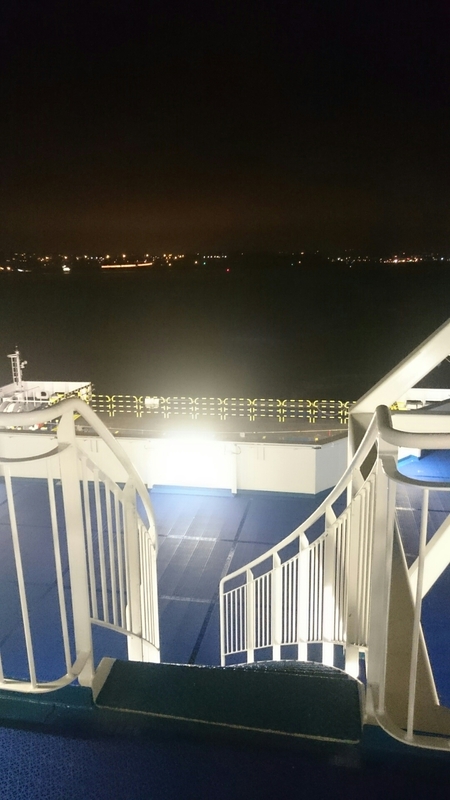 As the ferry left the dock bleary eyes took ahold and it I felt a bit overwhelmed. 5 years of dreaming had now come to an end, I was finally off. To keep things simple I won’t bore you with every single detail of everyday. I’ve read blogs like that and it gets hard to read. 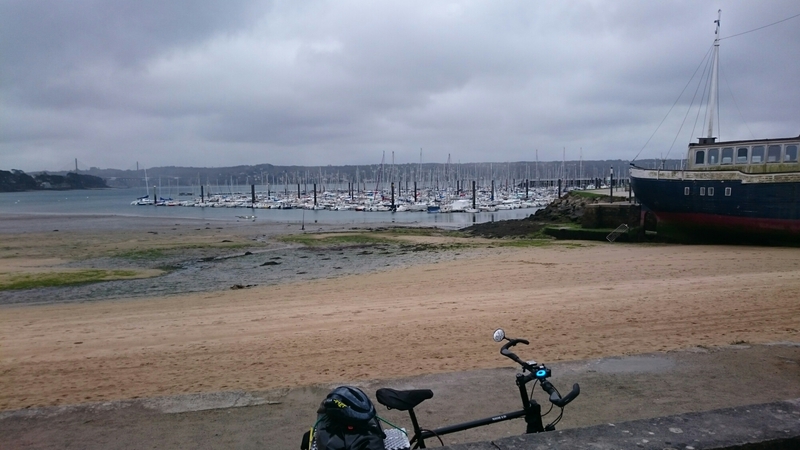 My first two days were raining and very hilly, yipee! 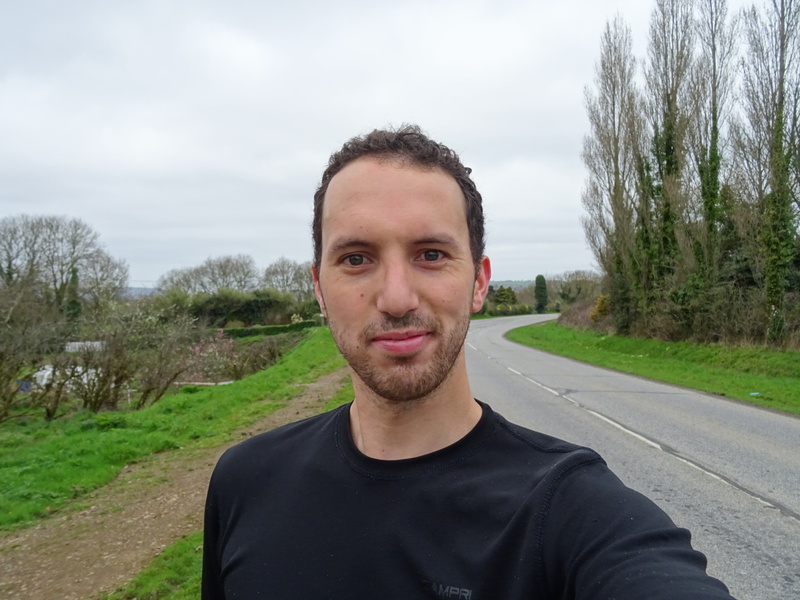 On the first day I covered a distance of 55 miles to the west coast of Britanny. 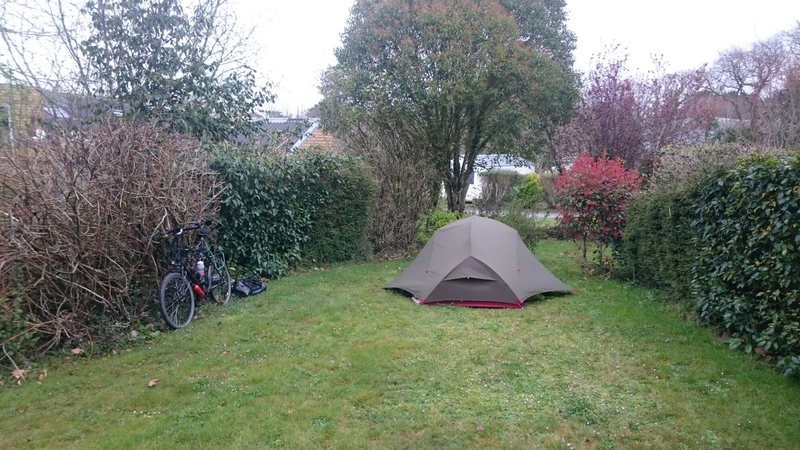 I stayed at a warmshowers host that night, similar to couchsurfing but specifically for bicycle tourists. There I got a bed, shower and meal from a lovely family. My French is basic\survival to non-existent but their son was able to help with converstaion. 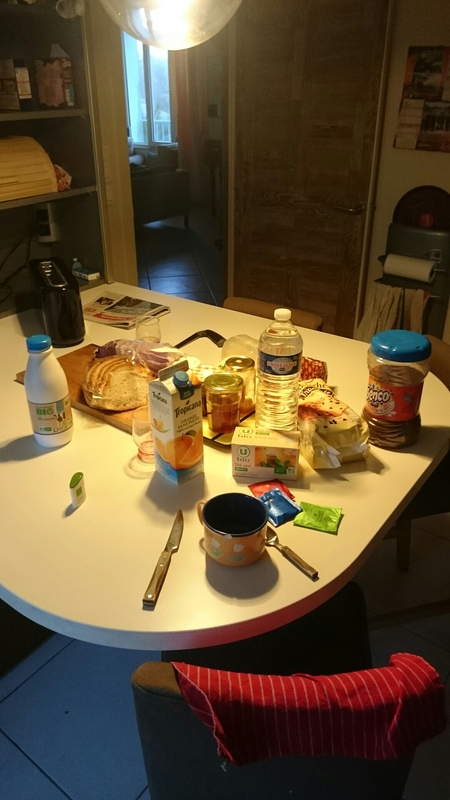 This was the breakfast they left me when I woke, unknowingly they had all gone to work. Very trusting! 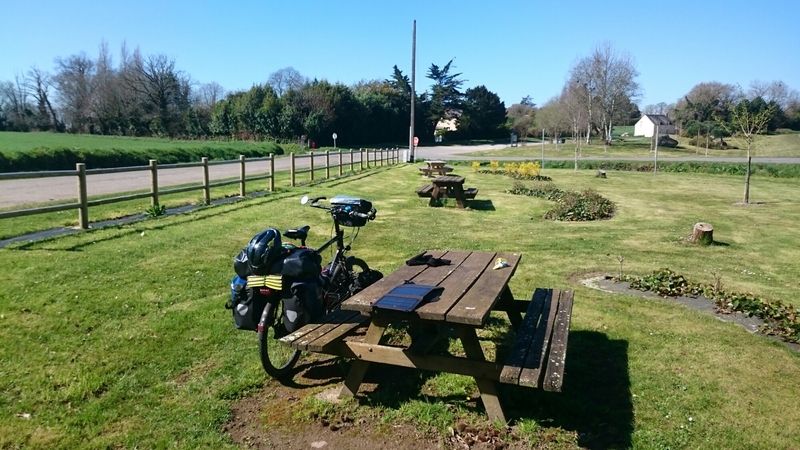 On the second day I got tired of slogging against the rain and headwind and stopped after 40 miles and went to a small campsite for 5 euros, at this point I was heading back in a south easterly direction. 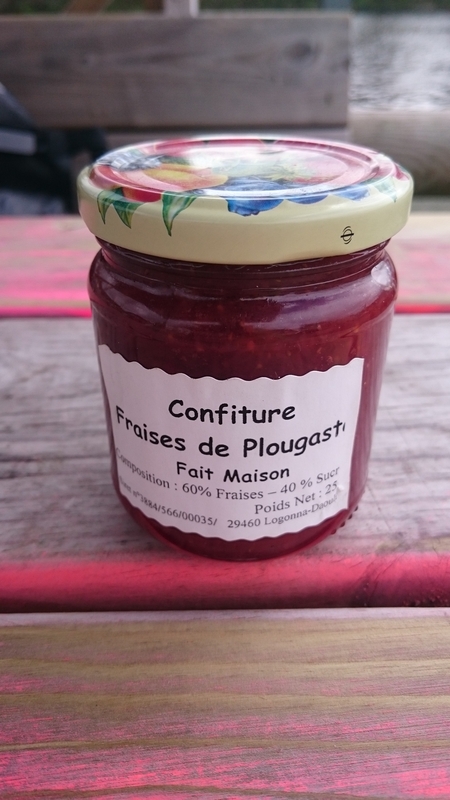 The campsite owner gave me some free jam as I left in the morning. Lovely!! The landscapes are very similar to Devon and Cornwall, all very green and picturesque. 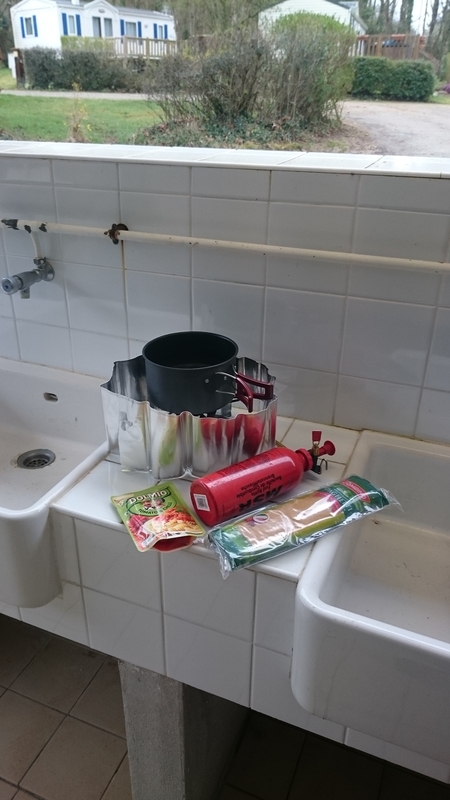 Cooking for me is basic, porrdige or oats in the morning with a couple of bananas, lunch is sandwiches and fruit juice from a supermarket and dinner is Pasta\Spaghetti\Ravioli and bread. 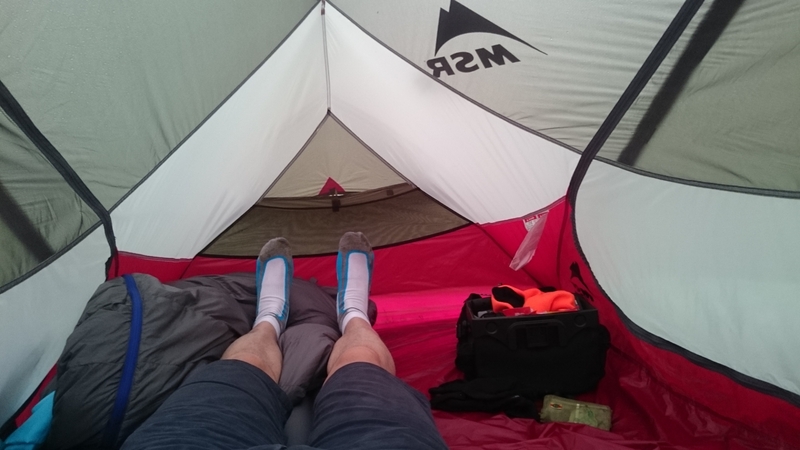 The nights are quite cold as you can imagine but I have a nice roomy tent, a good sleeping bag and mattress to help. Day 3 the rain stopped but the headwind got worse. 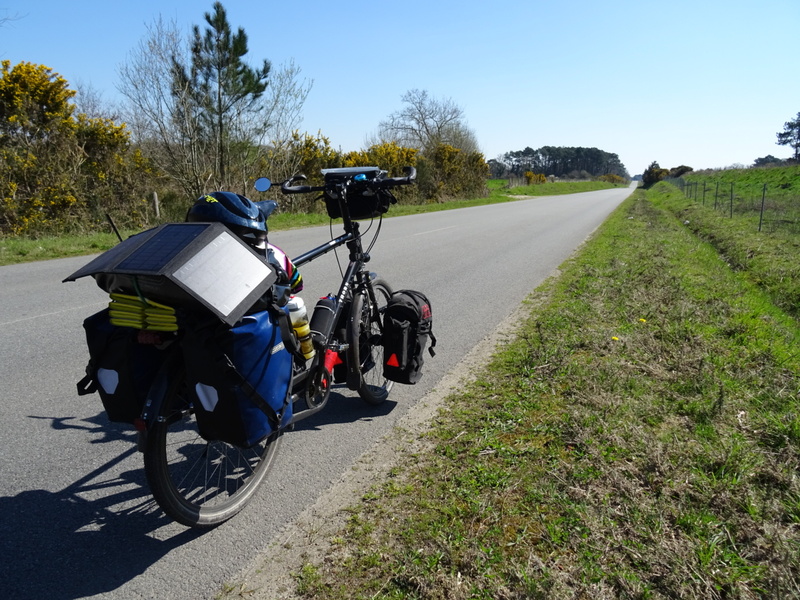 I covered 45 miles before stopping just outside the city of Lorient. 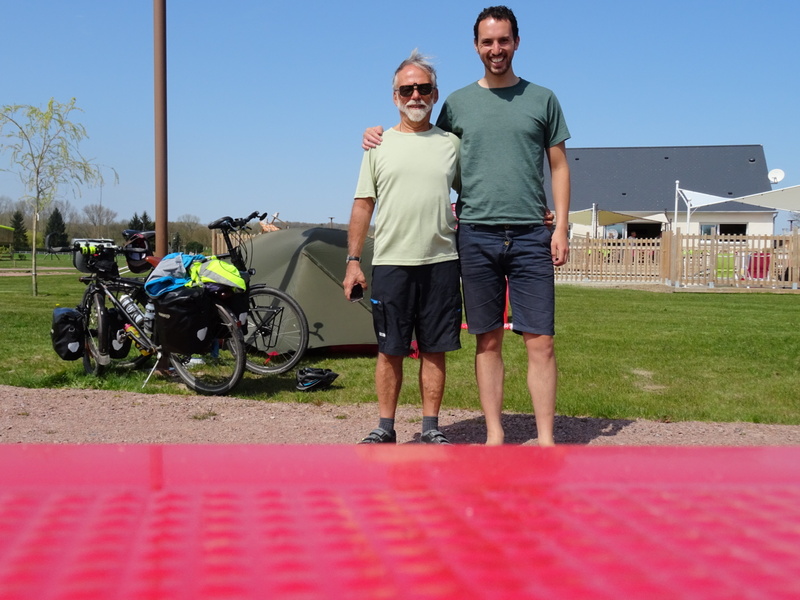 I stayed at a delightful campsite and met a couple from the city of Nantes, a place where I thought I may stay on day 5. 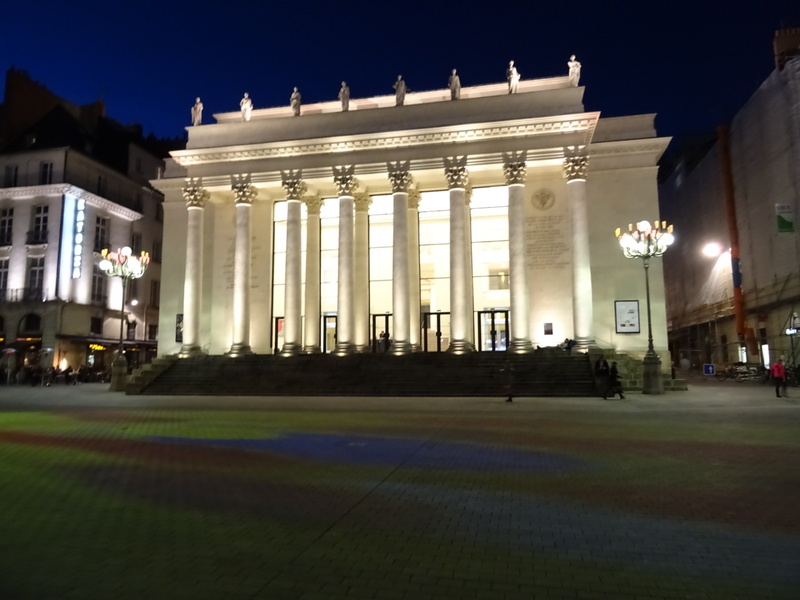 They offered me to stay at their house in the city centre to which I quickly accpeted. 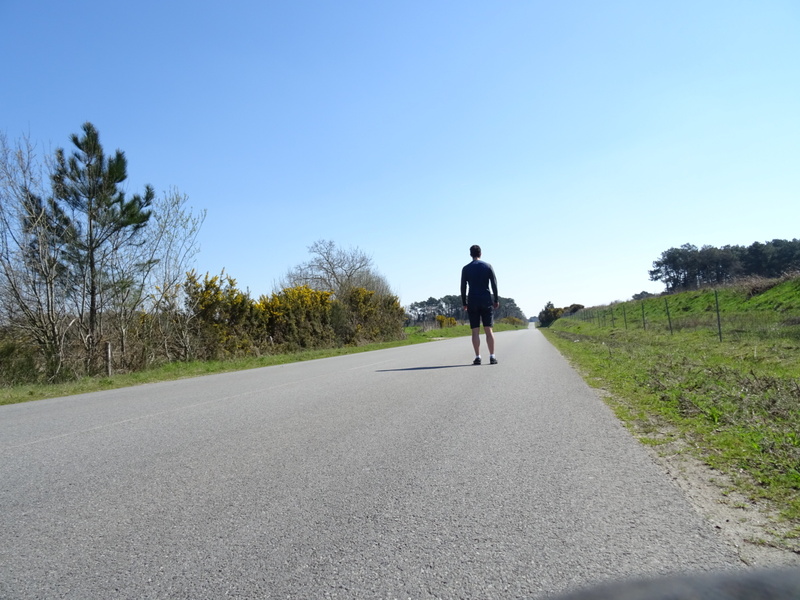 Day 4 I carried on down the coast to a little town called Penestin, the sun came out but the wind still prevailed into my face all day. 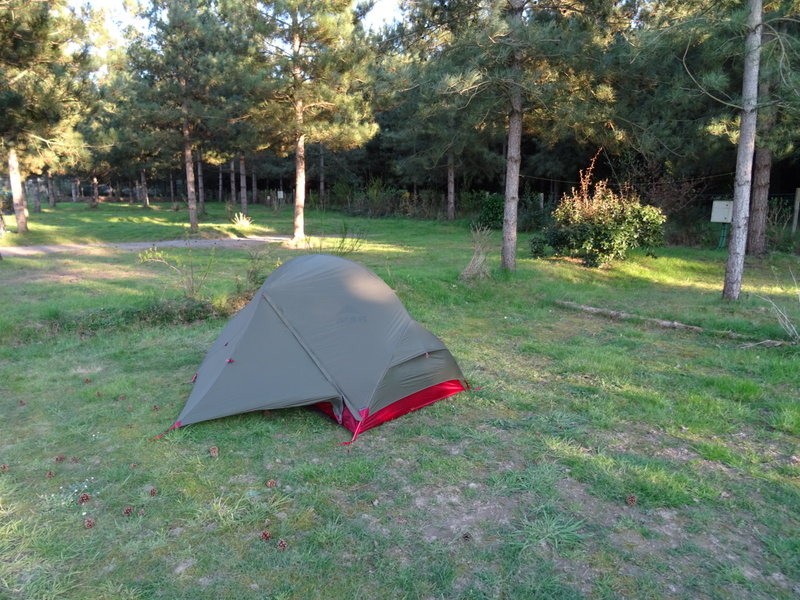 I stayed at a campsite I had been before with my friend Kevin on a trip we took to France in 2009. I have been navigating with both paper maps and GPS/mobile offline maps, both have their advantages. I use my solar panel to keep everything charged up. This works extremely well and only cost 20 pounds from Amazon. 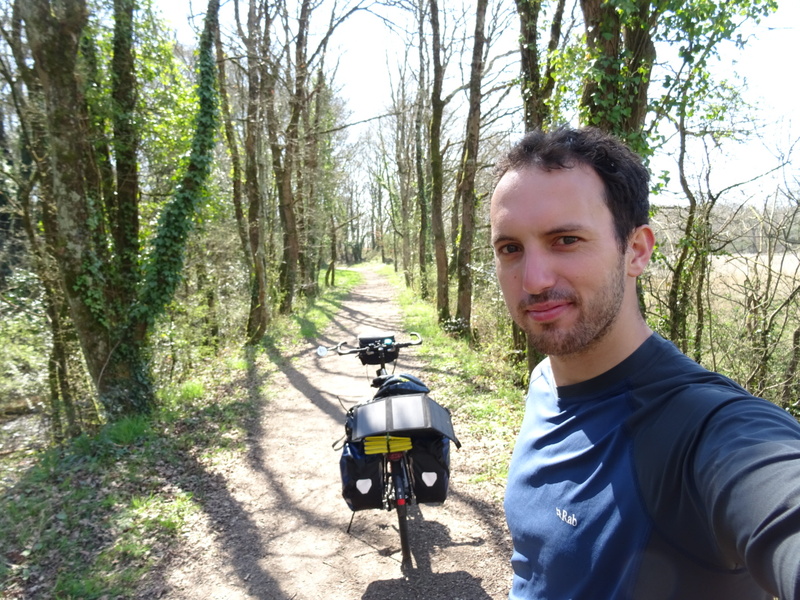 Day 5 and I cycled into Nantes, I got there by 5pm and waited for the couple to return from work at 6pm. They had a grand house with beautiful high cielings. I had a comfortable room to sleep and got a bath. Afterwards I was taken into the centre for a beer and to see some of the sights. 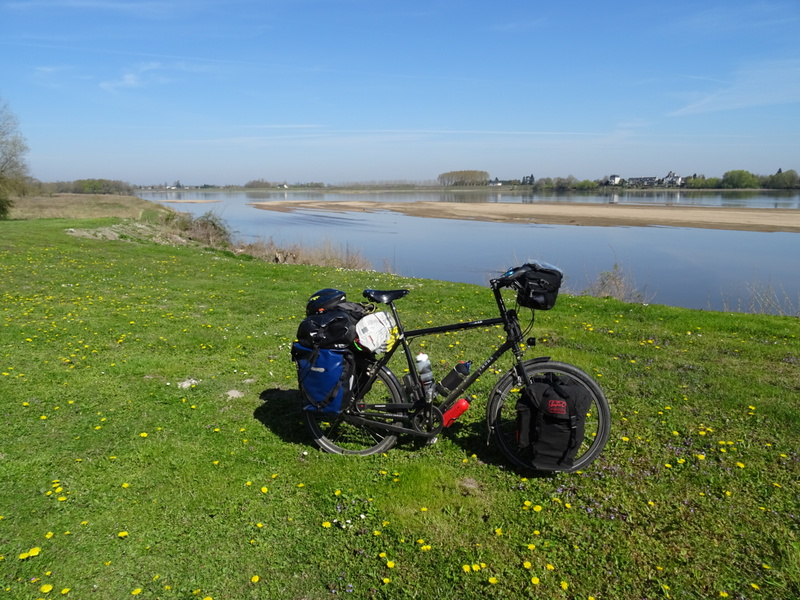 From Nantes I have been following the Loire river on the Eurovelo 6 cycle path past the city of Angers and towards Orleans. As I write I am about 100 miles short of that destination. 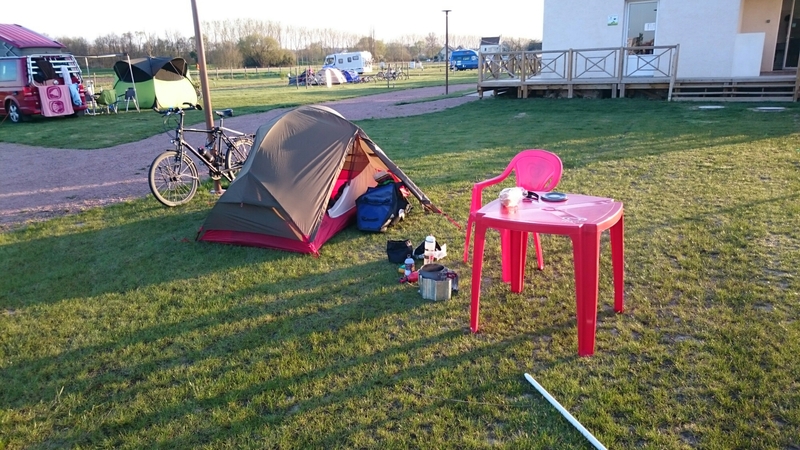 It is now day 9, I am in a nice campsite with a swimming pool and facilities to wash my mankey sweaty clothes. 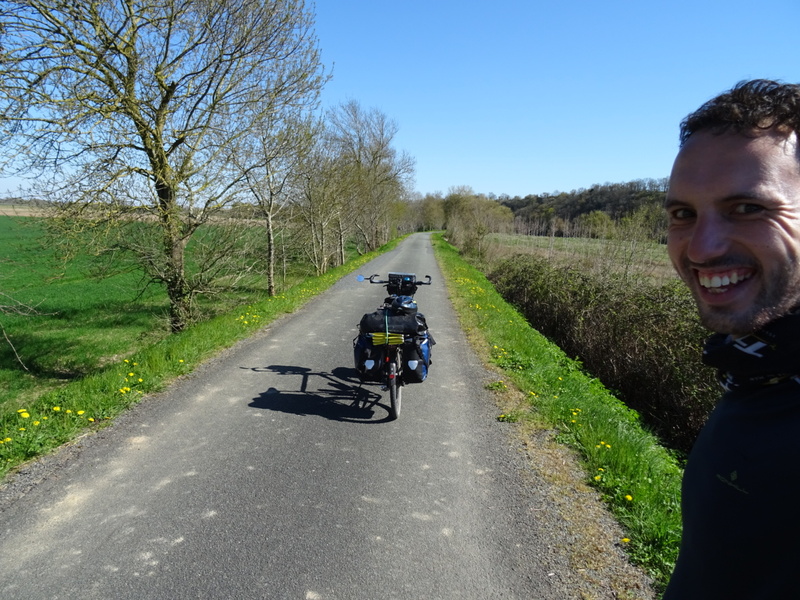 It just so happened that the gentleman (Ross) I am meeting in Germany to cycle the Danube river with was only a few miles behind me on the Eurovelo 6. Luckily we made contact via Facebook last night and he visited me this morning until 2pm. We had a nice long talk and made plans for the journey onward. I look forward to travelling on with him very soon! Next update hopefully on 15/16th April.